Caption: Mulloidichthys martinicus Typical adult size 9". Uses sensory chin barbels to "taste their way around" and find prey. 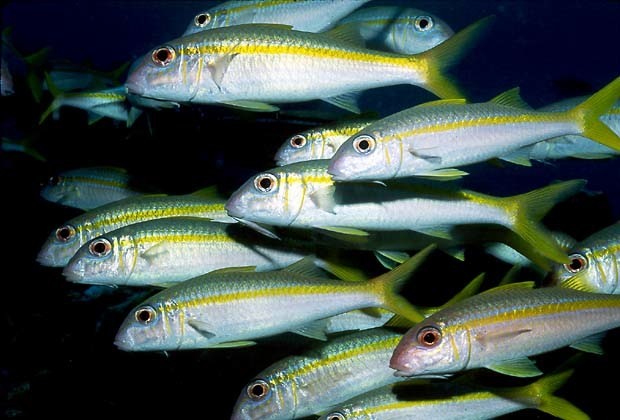 When they feed, yellow goatfish tend to be solitary or to band together in small groups. However when not feeding they often band together in large schools that swim over reefs.